The coffee table measures 60 by 60 inches and has a 1 inch solid maple top. 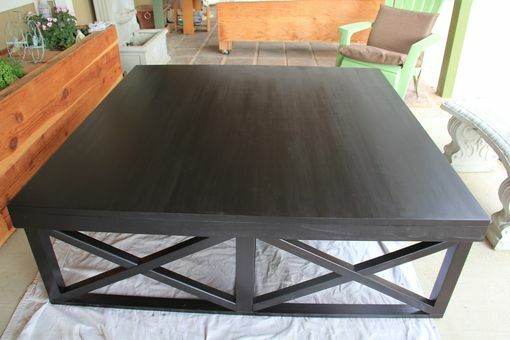 the table has a unique design with "X" patterns at each end of the table. 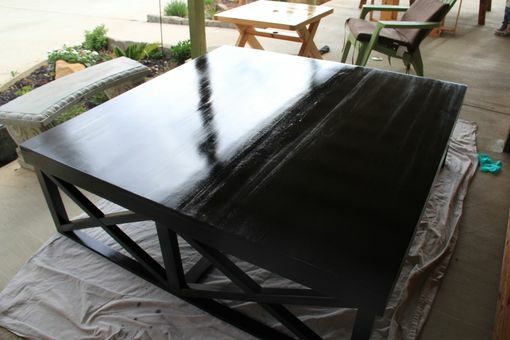 The table was dyed and stained with an espresso stain giving the table a deep rich finish. The entire finish was hand rubbed to a beautiful rich luster.